If you are looking for an elegant and refined setting from which to discover the wines of Alsace, look no further than Château d’Isenbourg. 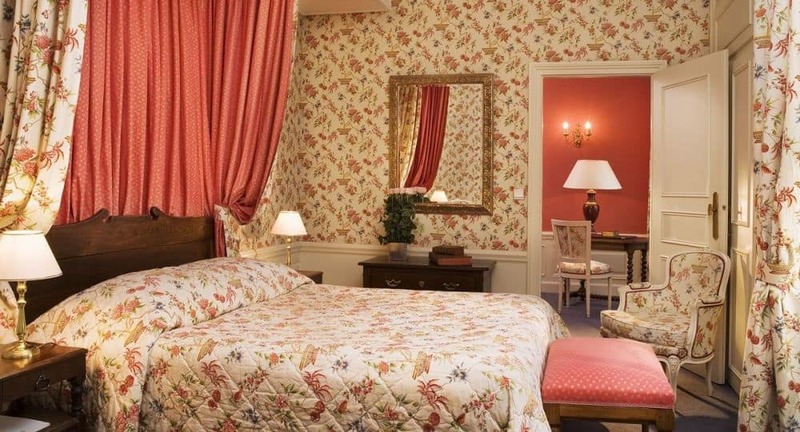 Steeped in fascinating history, this impressive Château was transformed into a luxury hotel in the 1970’s and offers a serene and sumptuous stay. 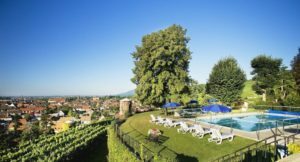 Enjoying a stunning rural location on the Alsace wine route, Château d’Isenbourg is around twenty minutes from Colmar and an hour from Strasbourg. 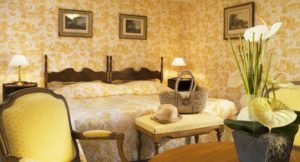 The remote situation allows for magnificent panoramic views of the Vosges foothills, the Black Forest and the Rhine Plain, and we recommend that guests staying here have access to their own vehicles. Complimentary private parking is offered to all guests. Château d’Isenbourg boasts superb spa facilities, with an outdoor and indoor swimming pool and an Asian Villa spa complete with a hammam and sauna. The Jacuzzi has fantastic views across the vineyards and there are a number of treatment rooms for pampering. 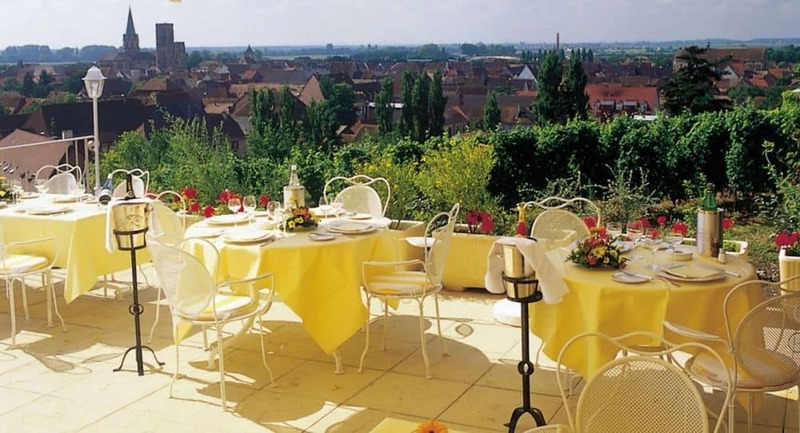 Guests can also dine on site, and Restaurant la Tommeries serves sophisticated Alsatian cuisine. For the ultimate relaxation, there are a number of terraces with panoramic views as well as beautiful landscaped gardens. There is also a bar on site and during the summer months, lunches and dinners can be served on the terrace. 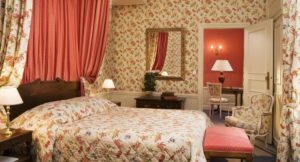 The 41 guest rooms are classified across six categories; Standard, Traditional, Superior, Deluxe, Junior Suite and Suite, and all of the rooms are elegantly decorated in keeping with the Château’s heritage. 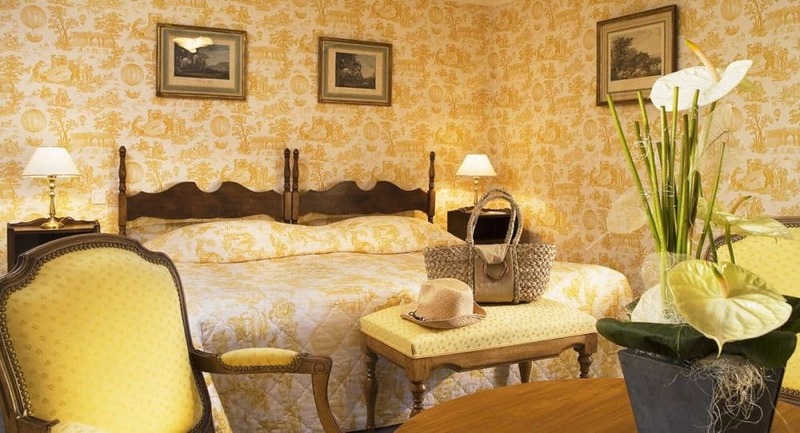 At your disposal will be WIFI internet access, air-conditioning, a flat-screen television, a mini-bar, a safe and en-suite facilities including a hair-dryer.